As India was preparing for its first elections, a great game of deceit was unfolding in a corner of the country. 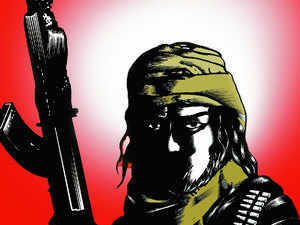 Bhupat Singh, was among the very last of the region's infamous outlaws. In the pre-EVM days, election rigging in India used to be as common as the elections themselves. Few, however, know about the man whose job it was to try and rig post-Independence India's first elections. As India was preparing for its first general elections, a great game of deceit was unfolding in Saurashtra (also known as the United State of Kathiawar), then a separate state within the Union of India. At its centre was a dreaded bandit, hated and hero-worshipped in equal measure, reviled for his brazen loots, admired for his "people's bandit" image. Bhupat Singh, the man in question, was among the very last of the region's infamous outlaws known for robbery, murder, dacoity and other such crimes. Bhupat plied his trade in one of the most unsettled periods of modern Indian history. India was in a flux in the immediate aftermath of independence and partition. Among the biggest political events of the times was the merger — some consensual, some coerced — of the country's myriad princely states. It made for a smorgasboard of constantly moving pieces that contributed significantly to Bhupat's rise. According to various reports, Bhupat was in the service of a petty ruler of a princely state in Baroda. He is remoured to have begun as an ace marksman and expert driver. Bhupat struck out on his own after his king lost his kingdom, and soon refashioned himself into a feared outlaw. Leader of a ruthless gang, his name spelled terror in the regions he operated in. Scores of murders — some reports say close to 100 — and loot of vast sums of money were attributed to the man known in his time for many unusual methods. The 1950s, a time of new hope for a newborn nation, was also the time of great unrest for old money. Erstwhile princely states were being merged with India's new states. Royal families everywhere were deeply suspicious of the intentions of the country's newly emerging political class. Fearful of their future in a democratic India, they had a conspiracy ready when it was time for the nation's first general elections. Hatched with a view to perpetuating status quo, the purpose was to disrupt the elections and skew the outcome. Bhupat's sway was at its peak for the period spanning from 1950 to 1952. Atrocities committed by him even caught the eye of the Western media that had been camping out in India to cater to the high global interest in the nascent democracy. "For several weeks before the elections, stories about the exploits of a dacoit (an armed bandit) named Bhupat were growing in scope and intensity," wrote the The New Yorker in May 1952. Bhupat was to be the enforcer of the princes' plan — the wrecking ball. They tasked him with letting loose a reign of terror in those parts. The idea was to make people see the unviability of democracy in a place like India which had a long tradition of kings and queens and divine rights and subservient subjects. "The purpose of this terrorism, according to the government, was to convince the villagers that lawlessness was the result of democratic rule and would certainly continue if the Congress were voted back to power,” The New Yorker noted. The Congress Party was India's primary political dispensation in those times. At that time, the party was preparing to bring in land reforms and cut down on royal entitlements. The princes were stripped of their royal powers, although they were permitted to retain many of their personal assets. Some of these princes would fall in line, but some of them would long nurse deep grievances over what their lot became. Various chronicles tell the tale of how the deeply riled princes of Saurashtra outfitted Bhupat's army with arms and ammunition and gave him the brief of spreading panic. Some reports say the princes used their clout to stop local police from acting. Rumour also has it that many cops helped Bhupat on their own accord out of caste-based fellow feeling. With few checks to stop him, the violence unleashed by Bhupat's men would soon terrorise people, leaving a hard-pressed government with no choice but to announce a Rs 50,000 reward — a princely sum for those times — on Bhupat, dead or alive. The princes' antics would eventually lead to the arrest of many of them for bringing the government a bad name by getting the dacoit to kill innocent villagers. Help from these disgruntled princes played a huge hand in the rise to infamy of Bhupat. Many tales speak of the considerable backing he got from many of the princely states of Saurashtra. Bhupat was widely rumoured to loot the rich and then distribute the money among poor villagers. An NYT article famously drew parallels of him with other people's bandits from around the world. Bhupat would mostly target the local rich or prominent townsfolk. Striking out of nowhere, he would rob them of their money and then disappear quickly. Bhupat would rub salt on the wounds of the robbed by leaving a note adorned with flowers, wrote the NYT, at the house of his target. By the time Bhupat's run was over, he probably murdered close to a hundred people, as per various reports that could not be verified. "These princes were alleged to have financed Bhupat to stop looting and concentrate on killing certain people, presumably political opponents. As a plot to influence the election, it wasn't much of a success," The New Yorker noted. The subterfuge was largely a failure. Saurashtra decisively went with Congress in the elections, giving the party all its parliamentary seats and over 90 per cent of the assembly seats. Bhupat eventually met his match in a decorated cop named VG Kanitkar who, in a book written in Marathi, chronicles an epic cat-and-mouse game spanning months and straddling vast swathes of land. There were reports that after his main aide was killed by the police, Bhupat quietly slipped into Pakistan. There, Kanitkar's book says, he converted to Islam, assumed a new name and got himself married. An Indian journalist was reported to have met Bhupat in Pakistan at a later date. At some point he was arrested and jailed for illegal border crossing. After his release, a blog post reveals, he went on to run a flourishing milk business at a Karachi market. This is where Bhupat's trail goes cold. India did try to get its hands on the dacoit on several subsequent occasions, but despite intense diplomatic efforts his extradition never happened.